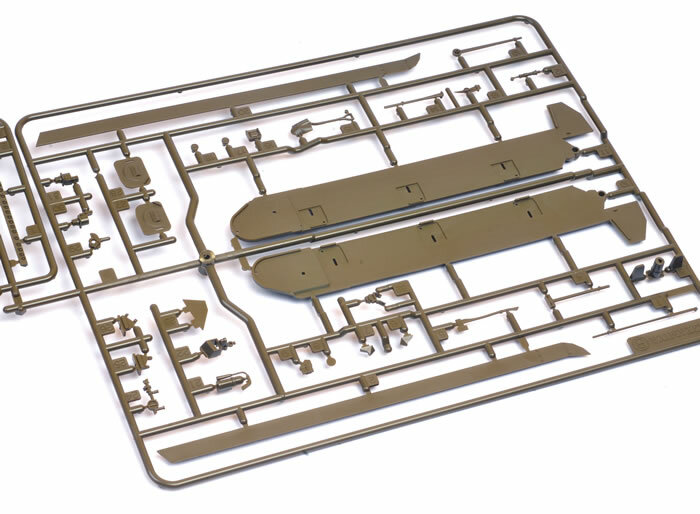 Media and Contents: 350 parts in olive coloured plastic; ten parts in clear; two lengths of polypropylene tracks; 4 small and 4 large polythene caps; a length of string and markings for two vehicles. 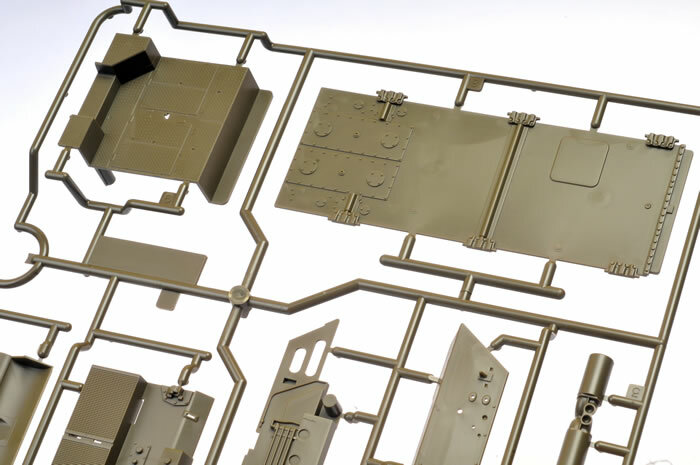 Advantages: Excellent detail including the fighting and driver's compartments; convincing surface textures; plenty of stowage; includes four crew figures. 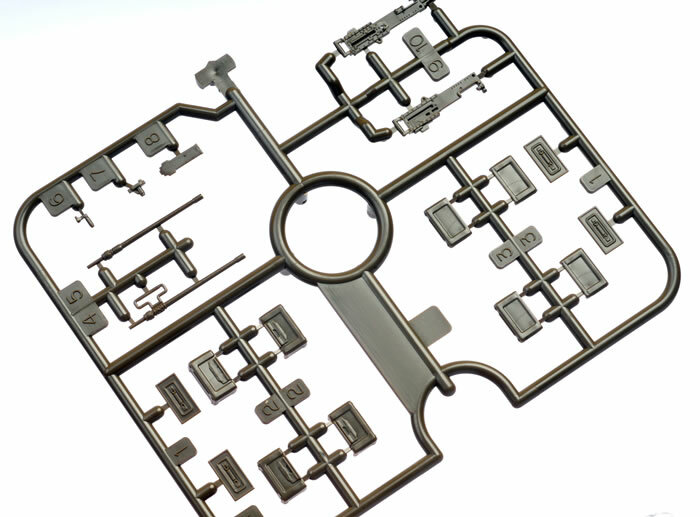 Recommendation: Another accurate and easy to build replica of an interesting subject. Keep 'em coming Tamiya! 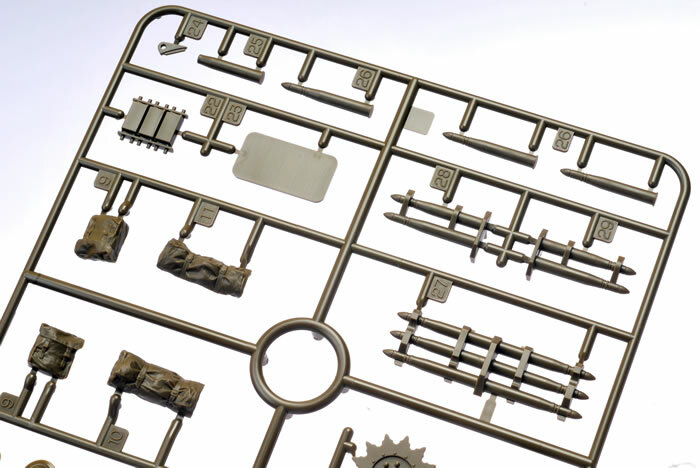 Tamiya’s 1:35 scale Achilles Tank Destroyer comprises around 350 parts on seven olive coloured sprues, ten parts in clear, two lengths of polypropylene tracks, 4 small and 4 large polythene caps, a length of string and markings for two vehicles. 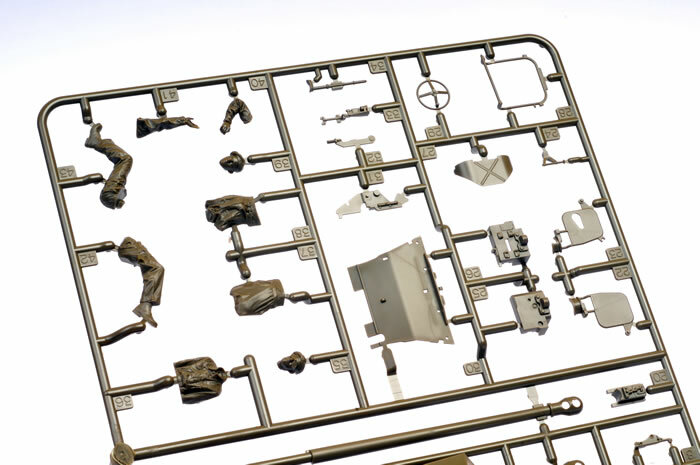 The running gear and lower hull are based on the parts contained in Tamiya’s 2006 M10 Tank Destroyer, but many, if not most, of the other parts are brand new. 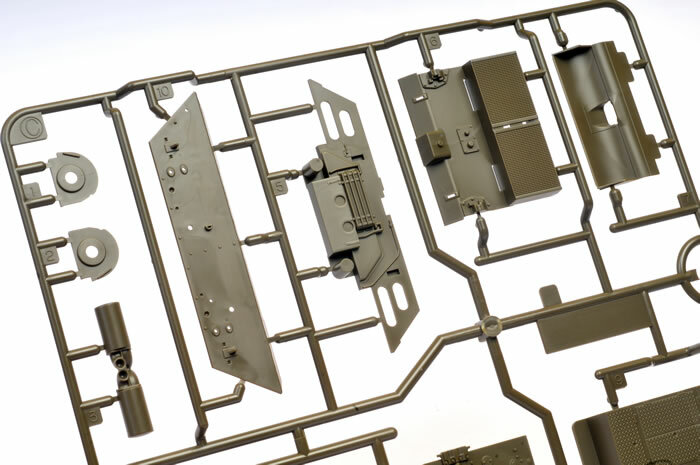 Crisp surface detail is present throughout including convincing cast texture on the transmission cover. 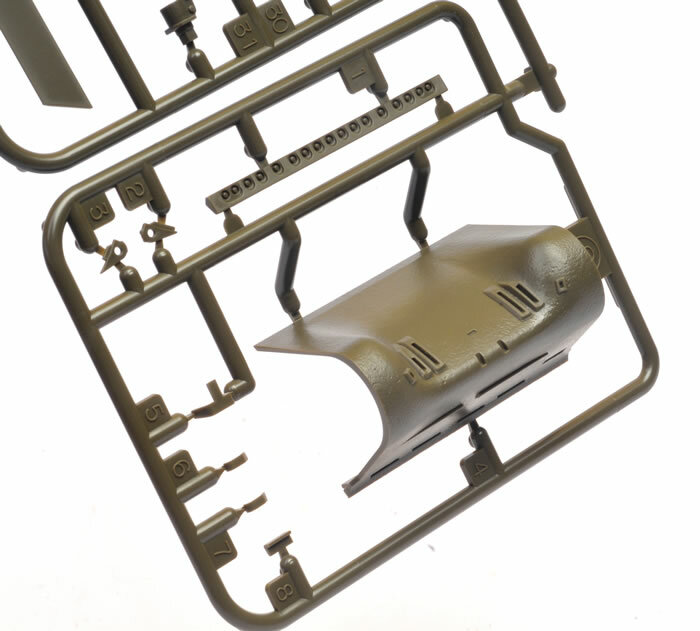 Weld beads are subtle, and tie-downs are moulded directly to the turret. The mid-style Vertical Volute Spring Suspension (VVSS) bogie units feature straight return roller arms, packed roller mounts, and full-length flexible T51 rubber block tracks. The pressed metal road wheels are made up from a main section and an insert for the rear. Each tyre is moulded to the main plastic section. The drive sprocket and idler wheel are attached via polythene caps. 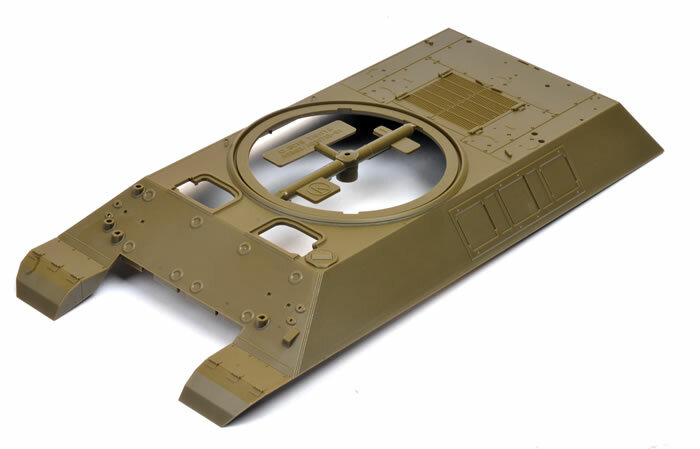 The lower hull is made up from a “flat pack” arrangement of separate floor, sides and engine firewall. The fighting compartment floor is built into this sub-assembly. 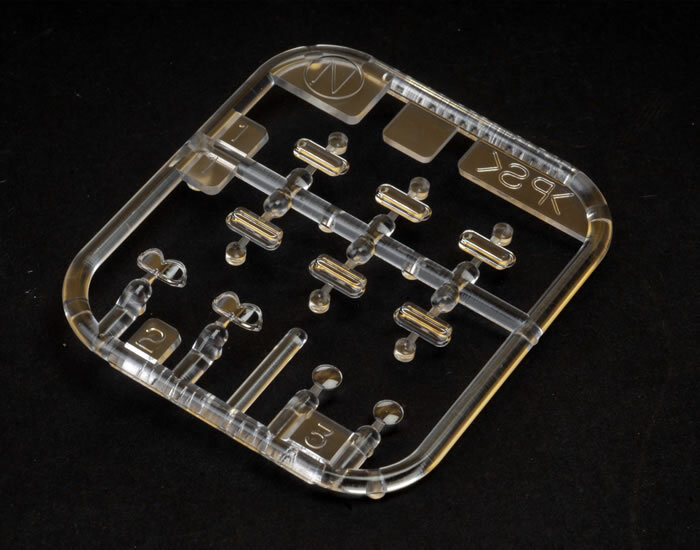 The two identical sponson blanks are cleverly moulded symmetrically from front to rear. 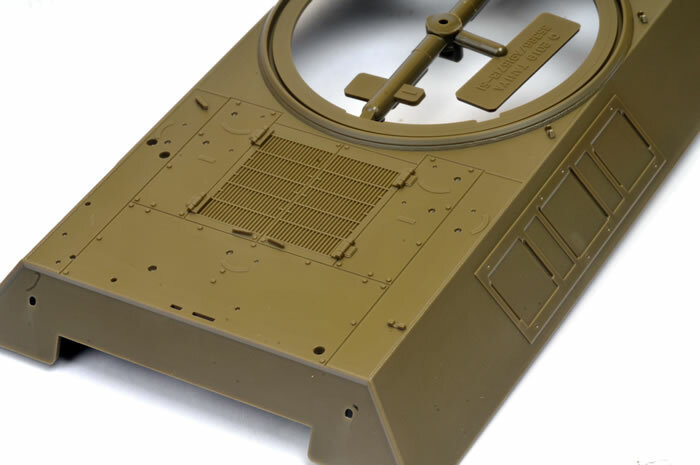 Ammunition stowage is mounted on the top side of the sponsons. 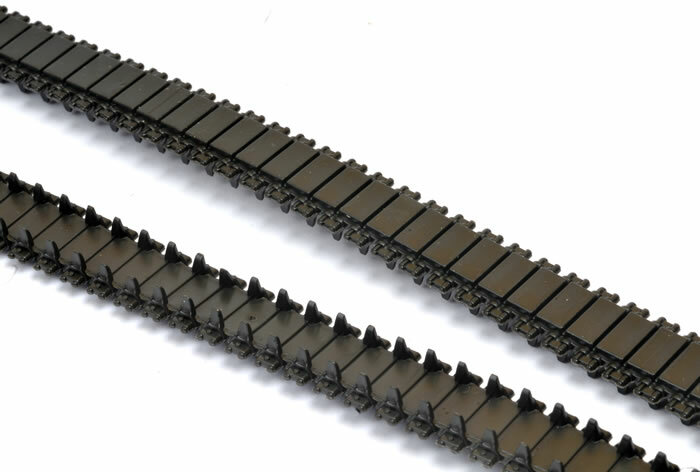 Detail on the full-length flexible tracks is very crisp and clean on the outside and edges. Even on the inside of the blocks there is no sign of ejector pin marks or flash, only a small circle on every twelfth link. It is also interesting to note that the way the track ends join differently on this model. Instead of locating pins and holes, each track features two slightly raised squares and two corresponding recessed squares on the other side. This should ensure a nice flat join. Note that the idler wheel mounts are also workable track tensioners. Do not glue these parts in place initially, as you may want to swing the arms to tighten the vinyl track when it is installed. 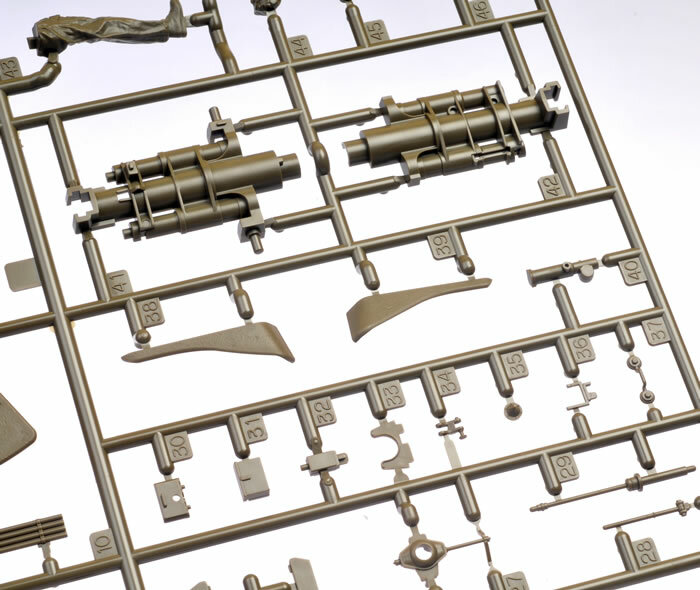 The clear sprue includes a number of generic parts that you will not need, but the headlight lenses and goggles will come in handy. The hull crew hatches may be posed either open or closed. 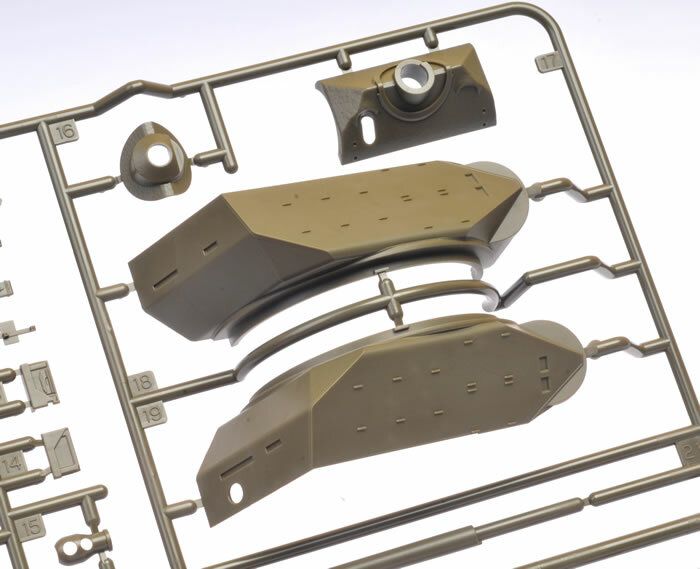 Tamiya supplies a toothed turret race that is fitted in two parts to the lower hull. 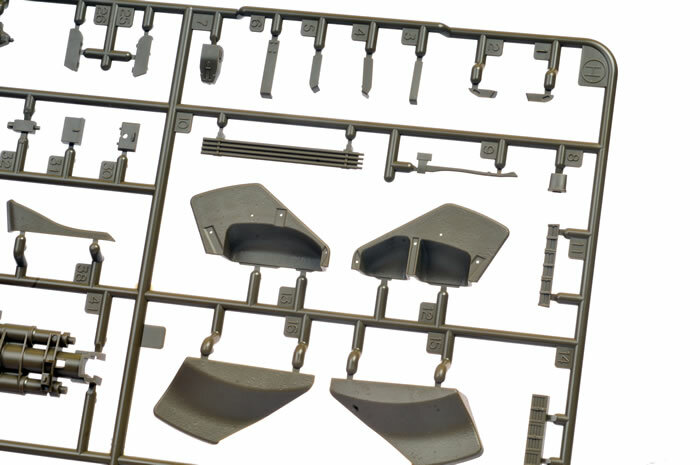 Individual armour bosses are supplied for the front of the hull. 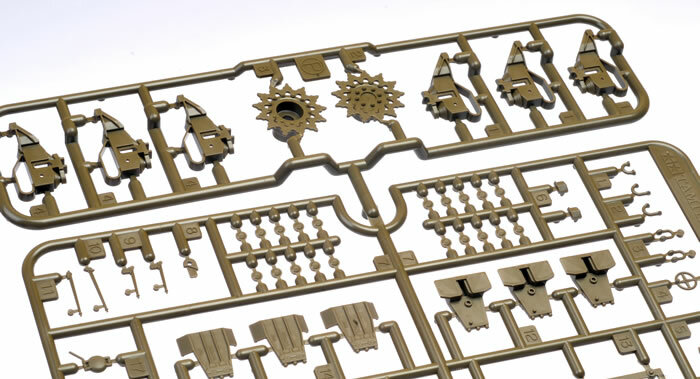 Each has to be cut away from two sprue attachments, so some care will be required to maintain their circular shape. The turret interior provides a nicely detailed 17Pdr gun breech, racks, boxes, stowed ammunition, gunsight crew seats, stowed Sten gun and more. This should look suitably busy. The 17Pdr gun barrel is moulded in one piece with a separate muzzle brake half. A .50 cal machine gun may be mounted at the rear of the turret, and string is supplied for the tow cable. 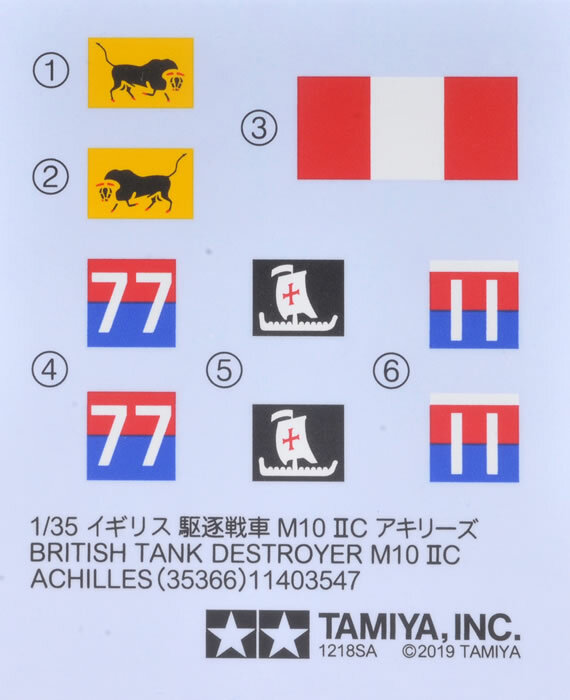 Markings are supplied for two vehicles in overall SCC15 British Olive Drab - one based in Italy 1944 and one in North Western Europe. 1944/45. 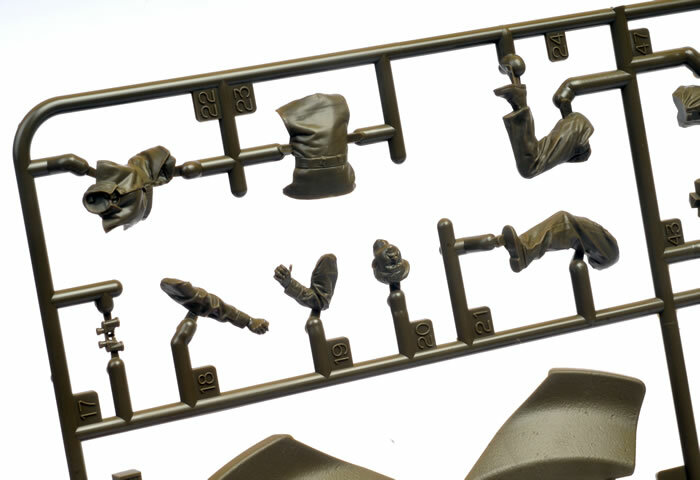 The package is rounded out with three nicely animated crew figures posed in the process of aiming and firing the main gun. 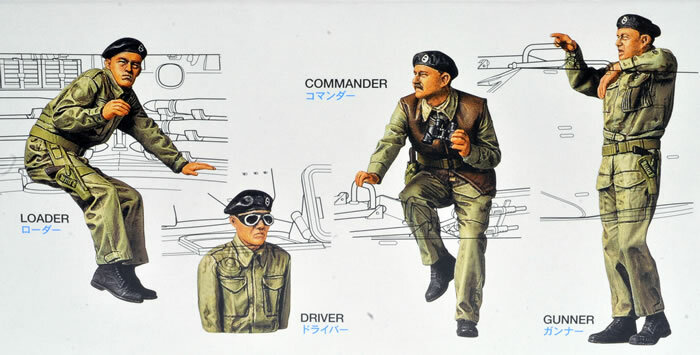 A fourth driver figure is also included. 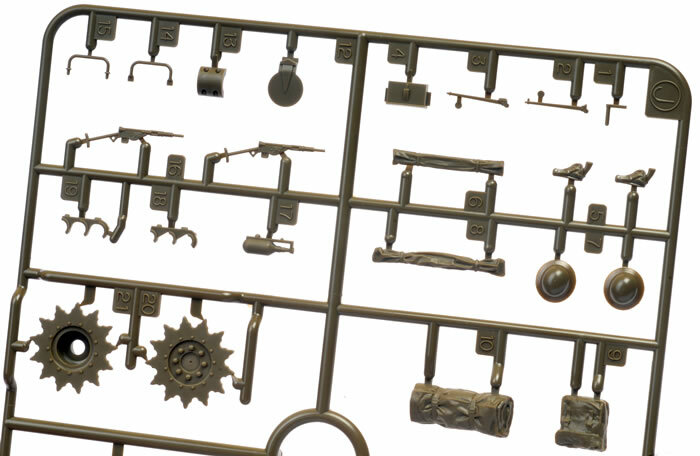 Moulding quality, fabric drape and facial details are very good. I would not hesitate to use them straight from the box with only the addition of straps for the goggles. 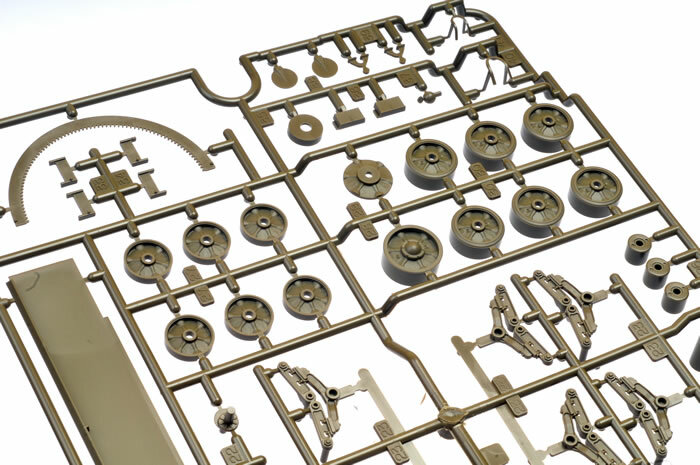 Tamiya brings their easy-building philosophy to a VVSS Sherman-based vehicle to this popular subject. 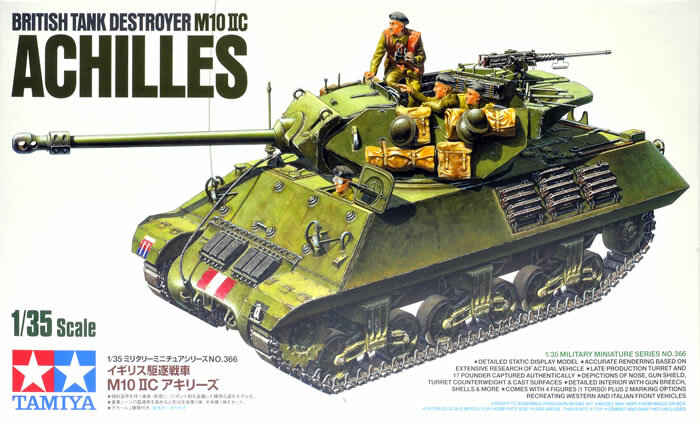 Tamiya's 1:35 scale British M10 Mk.IIC Achilles Tank Destroyer is a well detailed model with a nicely fitted out turret and a set of crew figures that lifts it into the category of instant vignette. 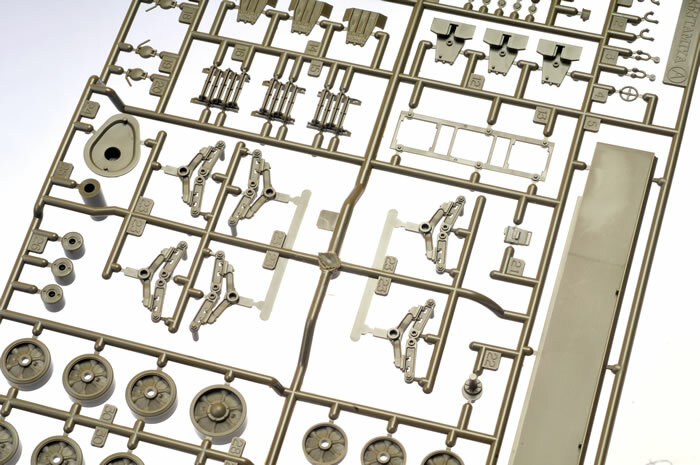 The decision to include full length flexible tracks is entirely appropriate considering the tracks are "live" on VVSS suspension and were therefore stretched taut while fitted to the vehicle.